Becoming a college president by the time I was 37 was a major accomplishment. Being able to turn ideas about what a place like College of the Canyons could become into reality is another. Growing a small community college into a suburban center of higher education that has earned the regard of the community has made me very proud. And being able to do so with the help of a lot of committed, determined people working together has made all of the difference. Being able to pass two bond measures in five years with the help of our volunteers and (campaign chair) Rita Garasi has enabled us to expand access — the greatest accomplishment of all. 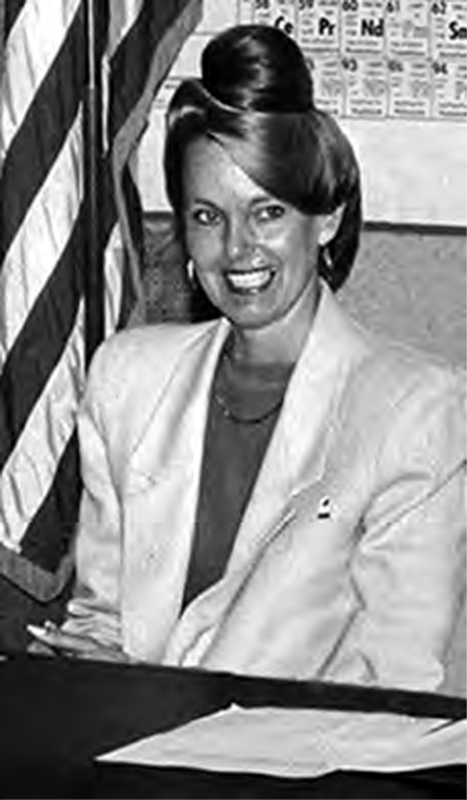 Dr. Dianne Van Hook in 1988. As a child, can you remember what you wanted to be when you grew up? In junior high, I wanted to be an architect. In those days, they wouldn't let girls take drafting, auto mechanics, wood shop or advanced math. We could take art and music, cooking, sewing and typing. On the aptitude assessment tests I took in junior high, I always ranked high on spatial relations and mechanical reasoning. I have always had the ability to design things in my head, and I am grateful that in my position as Chancellor, I have had the chance to build them. Whether it is buildings or programs or partnerships or people (professional development) or places, I'm in the building business. You played a big role in changing state funding formulas that allowed College of the Canyons to flourish. How did you do it? In 1988, the funding formula penalized fast-growing colleges like ours as they didn't account for the actual, real growth of our community. So I set about on a two-fold mission: First, to get the Department of Finance to fund our real growth and change our enrollment projections, and, second, to secure adequate funding for colleges where there was a large demand for access. I invited representatives from the Department of Finance to come down here and go up with us in a Sheriff's Department helicopter so they could see firsthand the growth and building we were talking about. We were flying over Saugus when the sheriff's pilots got a call about a robbery in Canyon Country. The helicopters zoomed over to Canyon Country, spotted the suspects and helped with their capture. When they were done with that arrest, they wanted to resume the tour but, because we were flying in curves, everybody on board was sick. I managed to just chew a lot of gum. I turned to the finance representative who was with us and asked if we should continue with the tour. She answered, "No. I've seen a lot and I think I want to go back." And I replied, "Well, you haven't seen the biggest parts of the growth in our area," to which she responded: "It's OK, I trust you. I believe what you say. We'll change your projections. Please don't make us do that ever again." It was a very interesting day and a stellar moment. We sent them our projected enrollment changes based on the number of houses to be built. Those projections are the reason we received so much funding And that's why we got so much growth funding and it's why we were stepped up for eligibility for funding for future buildings. We started on our first two big buildings, Mentry Hall and the Library, in 1994. And we have just been on a fast clip ever since, because of that helicopter ride. As another positive part of that helicopter experience, as we were funded to build additional space, we were funded to expand access and serve more students and businesses. Tell us about your early career. It's clear you wanted to be a college president. I did. While I was teaching junior high school, I went back to get a master's degree. At the same time, I was teaching at night at Long Beach City College and counseling at Cerritos College. I applied for and was able to secure a one-year sabbatical leave replacement at Santa Ana College. I thought if I could get some full-time experience, I would be more marketable. So I applied at Santa Ana College and got the job. I realized that I really liked working at the community college level as a counselor and instructor and I set my sights on that career. However, I was a temporary replacement. I needed a strategy, so I went into the president's office and said, "So this is the thing, Dr. Wenrick, I don't want to return to junior high school teaching. I like the pace of change at the college level. I need a little assistance. How do you think I can get to stay here?" He told me I could write some grants, which, if successful, meant that positions could be added and I could stay. I had no idea what a grant was, but I was willing to learn. I wrote about five grants and received three of them. So, ultimately it all worked out and I was able to stay at Santa Ana College. So, you literally created that position for yourself. What did you do next? In my second year at Santa Ana College, I enrolled in a doctoral program in Educational Leadership at the University of La Verne. In one of my courses on organizational development, my hypothesis was that we were providing student services only for traditional students and that was not meeting the needs of the students who were there. Student services were available only between the hours of 8 a.m. and 4 p.m.; we weren't open at night or on weekends. We weren't supplying services sensitive to the needs of re-entry adults. And, frankly, our counselors did not represent the students we were serving. So I developed a proposal to have a non-traditional counseling center called New Horizons, which would serve women on welfare trying to obtain skills to go to work, support women to move into "non-traditional careers," provide support services to non-native English speakers and develop programs for older adults. At the end of the term, I made my presentation to the president of Santa Ana College and immediately I left for a summer residency at La Verne. To my surprise, he called two days later and said, "You know, Dianne, we want to implement your proposal." I had strategically written in a counselor position into each component; I wanted a fulltime job because I was on soft funding from a grant that was due to end the next year. So I assumed he wanted me to fill one of those positions. But he said, "No, you're not going to be a counselor. You're going to run the program." So I became the coordinator of New Horizons, which evolved into a model program that in 1984 was deployed statewide. You made a name for yourself in Santa Ana making it easier for businesses to train their employees. Can you explain? I finished my doctoral program and along the way I became involved in an initiative with Congressman Jerry Patterson; our dean of vocational education, Dr. Kathy Lusk; and Dr. Bernie Luskin, who was the chancellor down at Coast Community College District. We decided that we needed to do something differently to figure out how to match companies that wanted to move into Orange County with the right college for the training they needed, so when they relocated from other areas or states, they could have a turnkey operation and we could place our students in real jobs that had a future. That was a challenge in those days because we didn't have "free flow," so you had to go to the community college where you lived. The only way you could go anywhere else was if the major you wanted wasn't available at your local college. We came up with a model and interacted in the establishment of the Technology Exchange Center in Garden Grove. It served all four community college districts in Orange County. All four of the community college districts agreed to let people and employees of companies that wanted to locate in their areas go to the college where their training needs could best be met. That was 1981, and it got a lot of press in Southern California. When did College of the Canyons first appear on your radar? When this job (Superintendent-President of College of the Canyons) opened in 1983, there were several CEOs who nominated me because of my efforts in establishing the Technology Exchange Center. I applied to College of the Canyons for the President's position and was invited for an interview. And despite the directions of the interviewer to not introduce myself and shake hands, I did so anyway. I went around and tried to memorize the names of the people around the room. I knew I wouldn't get forwarded (as a finalist) because I broke the rules. It sounds like your strategy changed a bit. Can you elaborate? I decided that I needed to apply for some other jobs, so I applied and became a finalist for positions as Dean of Student Services. At the same time, I realized that if I really wanted to be a college president, I needed institutional experience. That was the path to the presidency in those days. About that time, the Dean of Instruction/Student Service (Dean of the College) opened up at Feather River College and I applied. I got to Quincy for the interview and thought, "What have I done?" When I went to the interview the next day on the beautiful little campus, I caught my high heel on a railroad tie sidewalk that ran along the forest and tripped on the way to the interview. But I did my best and was honest in the interview. I considered it was a little too rural. I was offered the job. After I turned it down three times because it was "very out there", I finally decided to take it. Two years later, the Vice President position opened at College of the Canyons and I applied. I was the No. 2 candidate. You worked in Lake Tahoe for a while. How did that come about? About the time I did not get the Vice President position at College of the Canyons, I was speaking at a conference in Lake Tahoe. My husband and I always thought it'd be fun to work in Lake Tahoe. So, when I drove by the temporary campus of Lake Tahoe Community College, I picked up the paperwork and applied. Two months later I was hired as Dean of the Lake Tahoe Community College District. I started July 1, 1986. By now, I had become very involved in the state, had a bunch of leadership roles and met a lot of people, including Linda Cubbage, who was a board member at College of the Canyons. When the Superintendent-President's position at College of the Canyons opened again in 1988, I applied. It was the only presidency I had applied for. I wanted to work at College of the Canyons. It took me three times of applying to be hired here, but I knew it was a great fit for me. When I saw the Valencia/Santa Clarita area, I thought, "There are a lot of houses to be built here and a lot of businesses to be started. It's not landlocked like some colleges that have 25,000 students on 60-acre campuses." I thought, "There's a lot of potential here." That's why I kept trying. 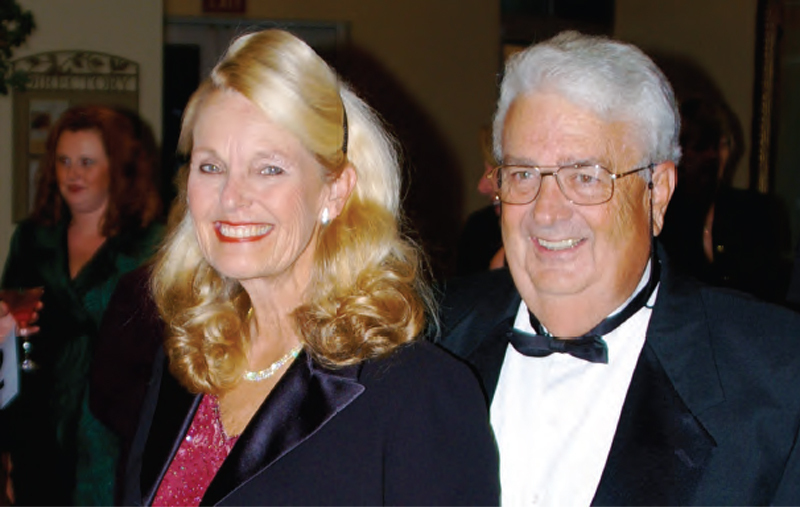 2007: The Western Los Angeles County Council of the Boy Scouts of America honors Dr. Dianne Van Hook and her husband, Roger, with the Leaders of Character Award. So, you had your eye on College of the Canyons since 1983 and were determined to come here. Yes. I don't give up. For me, coming to College of the Canyons was something I wanted to do, and I was going to get there. I thought I would become a college president in a multi-college district by the time I was 40, and within another five or six years my goal was to be in charge of a district. I was a contender to become a district-level CEO directly and eliminate a large step. I was able to cut out 12 to 16 years of sitting in various jobs to get where I wanted to be — here at College of the Canyons. If one is a quick learner, is flexible, and is willing to just do it (and if you don't do it right the first time, don't give up), you can get where you dream to be. Instead, I went from being a faculty member to a superintendent-president in four years. I cut out all kinds of time, which was good for me — because I am impatient. In a sense, you and College of the Canyons found each other. You've spent the bulk of your career here, and the college has been under your leadership for most of its existence. Looking back at the last 25 years here, what are you most proud of? I'm most proud of being able to really open the doors to access. When I came here, we had about 4,800 students, and we've had as many as 26,000 students in recent years. That is a significant change. That means that at any given time, one of every six adults in our community has a connection to College of the Canyons. As a CEO of a California Community College District, you don't get to expand access like that very often. Whether it was getting growth formulas changed so we can get more funding to educate more people, obtaining the funding for developing new buildings so we could create and add new programs, developing training partnerships with industry, building the University Center, or creating Career Technical Education and the Economic Development Division, we've touched people's lives, their companies, their relatives and their neighbors. We really have an impact on this community. Not every college can say that. Every community college certainly does a great job of providing people chances to get a jump-start on their college education, to pursue transfer education and to get trained to be able to make a meaningful living for themselves in some fields. But what I care about is that we don't just stick to that traditional mission. We were doing Economic Development before it was formally added to the mission of community colleges. We began doing contract training in 1989, and we started growing our Foundation when a lot of colleges didn't have foundations. We've been writing grants and developing partnerships, and we haven't stopped doing any of that during any of the five economic downturns that I've lived through here at College of the Canyons. We have kept our doors open, and we have expanded our programs. Now we have a campus in Canyon Country, where 2,400 of our students take classes exclusively and 3,000 take some of their course load. When we get the state to pass a bond measure, we can leverage our local money and bring on another three buildings at the Canyon Country Campus. It's going to be huge for this community. Because of the amazing team of people, College of the Canyons has earned the regard of this community in ways that most colleges can only dream about. The team of people and what we have done is what I am most proud of. What does the future hold for College of the Canyons? Soon we'll be done with the build-out of the Valencia campus in accordance with the Educational & Facilities Master Plan that we started in 1989. The existing facilities — whether the original four or five buildings, or the subsequent ones — will continually require upgrades to accommodate emerging progress and technology, but the physical structures themselves will be done. Our next frontier is Canyon Country. We're already there, and we have the money set aside for three permanent classroom buildings. The first building is the science classroom and laboratory building. The University Center and what we offer here will continue to expand. It's becoming even more popular than it already is. We've had about 26,000 people take classes in the University Center, and we're adding more programs so that people with busy lives can be lifelong learners. People will always need to learn new things all the time. We're streamlining our process to transfer students to the Cal State University system. We're expanding our role in working with business and industry to make a high-quality workforce. We're going to our high schools to help students jump-start their college careers. It's all about expanding access with the quality that College of the Canyons has been known for. It's about opportunity. It's about having the courage to imagine it, to dream it, to achieve it and to do it for the benefit of our community. It is a bright future indeed.